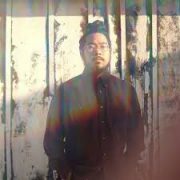 Mndsgn is a producer whose off-center spins on hip-hop and synthesized funk, as showcased on albums such as Yawn Zen (2014) and Bodywash (2016), made him a fixture on the Stones Throw label roster. Born Ringgo Ancheta in San Diego, California to former members of the Philippine arm of the Aum Supreme Truth Cult, Mndsgn (pronounced “mind design”) was raised on the edge of a New Jersey commune without electricity, and didn’t encounter hip-hop until he hitchhiked to Philadelphia to experience the modern world. A downtown resident explained sampling and beat-making to him, and by the of the day, Mndsgn acquired some equipment. Trips back to Philadelphia led to a move to Los Angeles, where he issued EPs and MP3s on labels like Klipmode and Fresh Selects. The Stones Throw label signed the producer in 2014 and released his spaced-out debut LP, Yawn Zen, that year. Bodywash, inspired by post-disco R&B, arrived in 2016. Two years later, Mndsgn produced Wanna Be Your Man, the return of underground funk musician Prophet, and also released the hip-hop-oriented Snax, a mixtape that combined new productions with remixes.